ROAD TOWN, Tortola, VI- Leader of the Opposition Hon Andrew A. Fahie (R1) is having none of the recent spin by Premier Dr The Hon D. Orlando Smith on the state of the Virgin Islands economy, calling the National Democratic Party (NDP) Government a failure. Referring to Premier Smith’s ‘Mid-Term Report’ to the Territory on Monday July 10, 2017 in which the Premier boasted that the economy was strong and that the Government had some $60M in the Consolidated Fund, Hon Fahie responded with a press release on July 11, 2017 in which he said Premier Smith’s speech will best be remembered for the phantom like report and for what it did not contain. 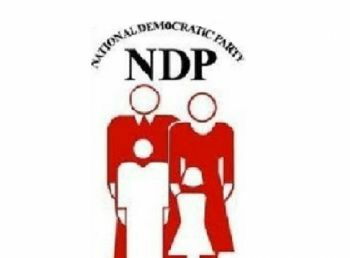 Noting that for the past six years the NDP Government has been given the mandate by the voters of the Virgin Islands, he can only summarise, contrary to the report issued by the Premier, that the current Government has failed. The Leader of the Opposition said it was “quite amazing” that the Premier would boast on how well financially the Territory is performing when everyone in the Territory knows otherwise. Further continuing to cast a light on the reality of the situation in the Virgin Islands, Hon Fahie said the United Kingdom has now appointed personnel to each of the seven primary posts and more are pending. 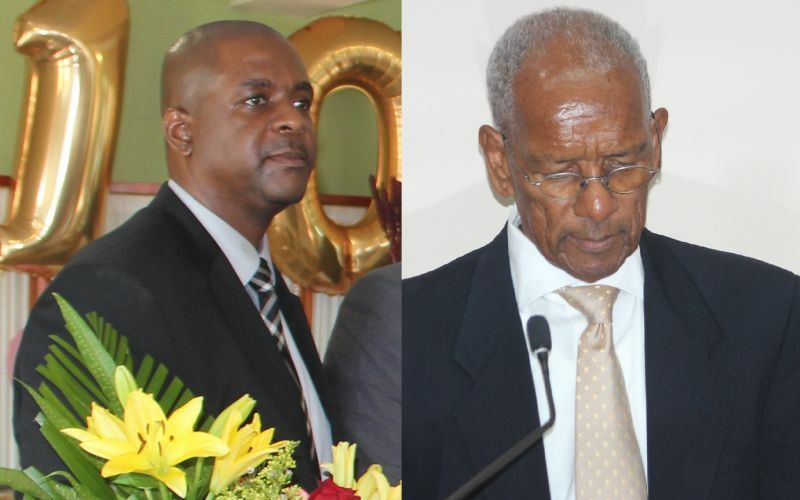 Premier Smith was also reminded that the constitutionally required audits of the Territory’s finances for the past six consecutive years are still not produced to the House of Assembly and also concerns of conflict of interest among elected members. The "illegal transfer" of eight million dollars from a loan approved by the House of Assembly to do, among other things, the East End/Long Look sewage project was also brought up. The Opposition Leader said he wanted to assure that he was not searching for the ills of this NDP government but what is troubling to him is that each of the activities listed, among others, he has painstakingly and regrettably informed the residents of the Virgin Islands in his Annual First District Reports and in the House of Assembly. “The reason for the repetition is quite serious. Violations of any and each of these can result in valid reasons why the British Government will seek to justify further management of our Territory,” Hon Fahie asserted. When the subtleties of democratic governance are too difficult to work through, or may lead to the wrong conclusions, it is always easier to believe in brute force - you've got to break some eggs to make an omelet. I can't believe that this Premier once again said that the economy is robust. This man definitely have us for donkies. We are keep crying that things are bad here. If things are so bad how come so many people can afford to pay the high boat fares, departure taxes, fees for boxes on the boats, rental of vehicle, and then shop till they drop in St. Thomas. This no make up story for I witness this all the time! We need to be more grateful and count our blessings for the plenty that we have here in BVI instead of playing politics! Fahie, Smith, 6 is one half a dozen is the next..We are the concern citizens with real credibility to speak up and stand up...Ms Romney. Ms Dawson, Rsul. Why u all so quiet, or you all don't care enough about us to speak up. U all focus are just votes..
where are the numbers opposition? The so- called robust economy train run out a steam long time. We reap what we sow. I have to wonder how much suffering and pain we all will have to endure because of the cynical and crafty ways of the Dr. Smith crew today. Orlando has met his match and knows it. All talk and no backing. Tell the opposition to tell us what happen to the report for the $600k medical school study, and the report for the $500k study on the education system. "Free money and nothing to show for it PERIOD!!!!!! Okay bald head we are on to you and your lies and mischief making ways. Fahie, we the people of the BVI can write off as a lost, that 7 mil, Dr. Smith gave away to BVI Airways. It's dead money, BVI Airways will never give us the direct flight they promise. But we have to guard the treasury, because Dr. Smith wants to take shame and blame from off himself, so he is trying his utmost best to try and find 5 more mil that BVI Airways is asking for. Make sure the treasury is well guarded. For two flights a week. Dr Smith should have stuck to medicine and gotten some advanced training. He would have much better served his community. Present to the people a party with politically astute minds, with no past mismanagement of financial and credibility issues among any of its members, demonstrated leadership and managerial qualities, demonstrated modern world political views and negotiating skills are some of the tools that will sway the average NDP supporter in the next cycle. The BVI electorate is neither backwards nor inept. It has matured. Though the machinery has it problems, its leaders are somewhat mistrusted to a degree, the populace is quite cognizant to quite a degree of the strengths and weakness of both parties and will vote accordingly . We don't need politicians, we need competent administrators who are concerned for their people and not themselves. Despite spending nearly twice as much as several other countries, the country's performance is lackluster, so who Dr. Smith trying to fool?